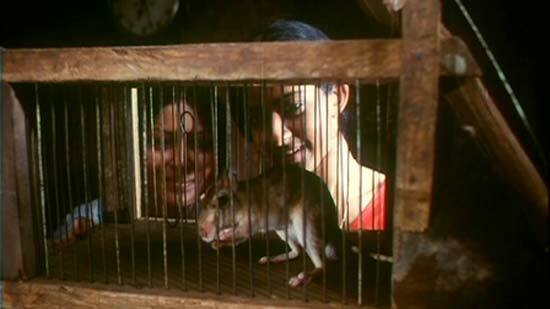 Elippathayam (Rat Trap ) is a 1981 Malayalam film written and directed by Adoor Gopalakrishnan. It is critically considered by many to be one of this finest works. The story documents feudal life in post-independence Kerala at its twilight. It revolves around Unni, a middle aged man living a life of struggle with his three sisters. Our protagonist is trapped within himself and is unable to comprehend the changes taking place around him. The story delves into the lives of a brother and two sisters, all possessing totally different characters from each other. The Rat Trap itself is a symbol of the situation the family, or more precisely Unni, has got itself into, unable to escape it. The decline is vividly told, with colour and music used as a striking and significant constituent of the film’s thematic development. Adoor Gopalakrishnan is one of the leading filmmakers from India with a career that spans more than four decades. For some critics he is considered the spiritual heir to Satyajit Ray. All his films have received praises and various accolades from all the corners of the globe. Elippathayam (Rat Trap) was the first film to bring him widespread international acclaim including winning the prestigious BFI Award for the most original and innovative film in the 1980s.